This FS5 Z-Finder package includes the FS5 Z-Finder, Axis Mini for FS5 and the FS5 top plate. 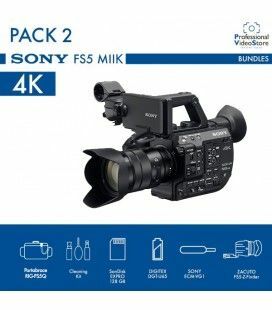 This package includes the FS5 Z-Finder, Axis Mini for FS5 and the FS5 top plate. The Zacuto FS5 Z-Finder is specifically designed to suit the shape and size of the monitor included with the Sony FS5. The FS5 Z-Finder comes with a flip up frame designed to slide onto the FS5 LCD and lock securely in place. 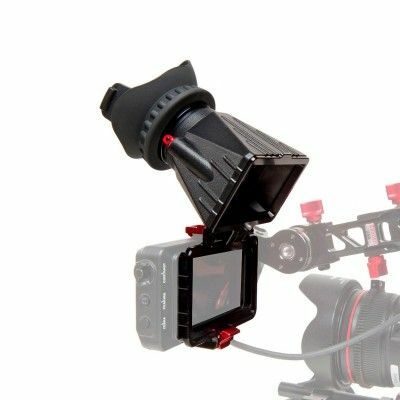 The Zacuto Z-Finder will pop on and off the frame for quick shooting. The red lever at the bottom of the frame allows you to quickly flip the Z-Finder up without removing it from the frame. If a producer/client/director etc. wants to see into the viewfinder, you can flip it open instead of having to adjust so they can get their eye to the loupe. You can also pop off the Z-Finder and use the FS5 LCD as a monitor. This Z-finder will magnify the LCD screen by 2x and has a diopter for specific focus tuning. It cuts out any extraneous light and offers an initial point of stability by pressing your eye against our comfy, large eyecup. 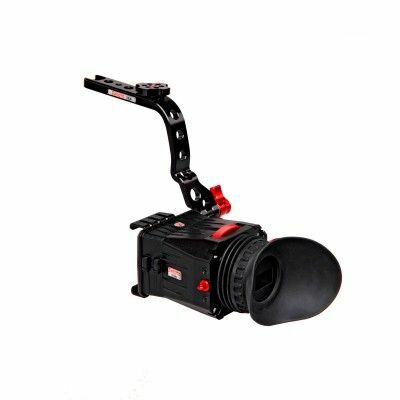 The FS5 Z-finder comes with a 40mm diameter Zacuto optical designed lens, anti-fog coated protective covers, and the mounting system designed specifically for the FS5 LCD. The diopter allows you to dial in the focus to match your eye. If you need extra focal points you can use the included Z-Finder Extender Frames. These are semi-permanent stackable frames that attach to the body of the Z-Finder and extend the Z-Finder glass further away from the LCD screen for people who are farsighted. The diopter range with the included lens and extender frames is -4.0 to 0.0. If you need more adjustment than the Extender Frames provide, you can add drop in diopters for further diopter adjustment. The interchangeable anti-fog glass diopters, -1, +1, +2, +3 and +4, correct the focus to your vision for perfect clarity. An aluminum sun mask is built in to the Z-Finder to protect your LCD screen from sunlight. Drop in diopters install underneath this aluminum sun mask. 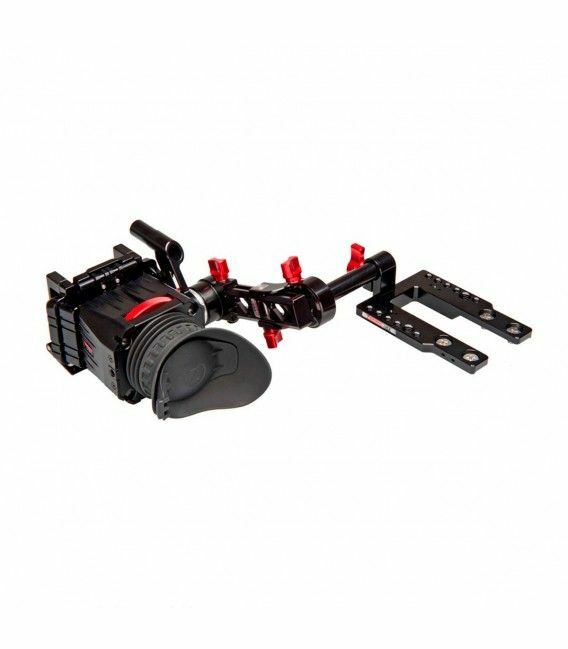 This kit includes the Axis Mini for FS5 which allows for a wide range of adjustment. The Axis Mini attaches to any side facing rod port, like the one on the FS5 Top Plate The Axis Mini has three red tension levers that are controlled independently with 360 degree motion. Release all three levers to completely re position the mount or release just one to make single segment adjustments. You can dial in the exact amount of tension needed at each lever to adjust on the fly. Just grab and move. Includes: FS5 Z-Finder loupe with 2x magnification and diopter wheel Two (2) Extender Frames FS5 flip up mounting frame FS5 Axis Mini FS5 Top Plate Lens Cap, Sun Mask, and protective boot Z-Finder Dust Cover One installed and one additional Anti-Fog disc. This also acts as a lens protector and is expendable. WARNING: The Z-finder is a magnifier and as such will magnify the sun which can damage the LCD screen if the sun is allowed to shine directly through the Z-finder lens. Use the enclosed lens cap to block light from entering your Z-finder when not in use. Please note: the FS5 Z-Finder Pro is specifically designed for the Sony FS5 and will not work on any other camera. Zacuto products are proudly made in the USA and non-electronic products have a lifetime warranty.